China Moon: excellent customer service that you forget the food; 30001 Town Center Drive, Laguna Niguel, CA 92677; Website: ww.chinamoonrestaurant.com; Tel: (949) 249-6868. China receives a lot of positive reviews for being the best restaurant serving Chinese cuisine in the south of Irvine. It can take a while for you to put out your finger on why you will find their service at China Moon so confident and easy going. The customer service can even make you forget to give compliment to their food. In fact, if you do not like the food, you will still forget to complain about it or write negative reviews on the web. The staffs are busy working the tables but they never miss out on well-behavior. Talking to them is so relaxing. Interacting with the customers is similar to a walk in the park for them. In fact, they will also tell you which dish to order in case you are confused. You will keep calling it China Moon because the dining is in the well-known in the south of Irvine. The restaurant’s name come from the China Moon meaning a full moon that looked like a plate used for serving food. Being a shrimp lover, it is difficult to not take the aromatic shrimp. It is most shrimp lovers favorite dish over there. Beef, chicken, shrimp all tastes delightful and if one is with family and friends, they should take all and that will add variety to the meal. Besides, you can taste each of the meat. The best part is there is no Wi-Fi and that is how the place has more fans. Customers talk to each other, read the newspaper and order food. It is something different considering every place now has Wi-Fi, 4G and all that. It does not seem nice when people are meeting up for a get together and all they do is stare at each other’s phones. Do not worry, it is not those cafés which kicks out smartphone users or anyone carrying a laptop. You can bring whatever you want, but they do not have the internet connection. Since it does not have delivery, you can always get take out. If you are from Seattle, you should know that they have better Chinese food than here but people of that place loves China Moon. That is a positive aspect meaning the food must taste nice here. You can have the Shanghai Dumplings, Cream Cheese Wontons, Szechuan Shrimp and the Wonton Soup. There are no complains about the four dishes. The chef will personally come out and ask you if everything is alright or not. When a place makes so much effort, you can tell that it serves quality food. In case you are allergic to shrimps or not a shrimp lover, then you must be a beef lover. Take the Ma La Beef and the Hunan Beef as they both are tasty. Ask them to put peanuts in the Ma La Beef and the taste will be a blast. The reason why the place is so cozy and comfortable could be the fact that it is family owned and operated. That is also not the obvious reason because most restaurants are family owned yet the staffs are rude and strange. You can also take the Peppercorn Beef. Sesame Chicken, sautéed garlic beans and brown rice can be another combination that makes a hearty meal. The food is just as delicious as the level of politeness you can find from the staffs. They try to ensure that all the guests leave with a positive experience and hopefully come back again. Many people going to China Moon likes the rainbow shrimp, hot and sour soup and the egg rolls. You will find the rolls to be full of fillings rather being empty like many places. The hot and sour soup has a better taste compared to many other restaurants. You might not want to have dinner as it is costly than lunch. Most guests like to have lunch here. It is closed on Tuesdays though. The other days you can stop by for lunch from 11:30 AM to 2:30 AM. For dinner, come from 4:30 PM to 9:30 PM. If you want to make a reservation call in their number and speak to the staff. If you are being more than fifteen minutes late, they will cancel it. Do not worry because you can call them and let them know. The place serving mandarin cuisine is run by Vanissa and Jackson Chen. 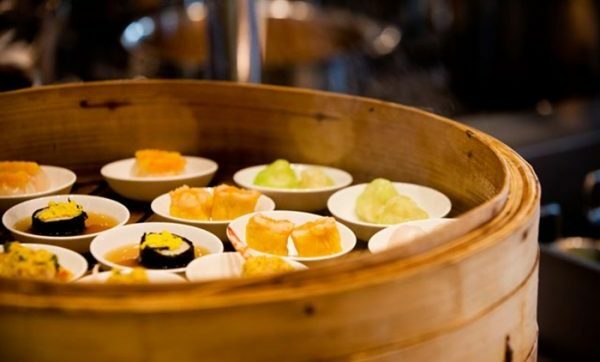 Their previous restaurant was The Mandarin Place, which was one of only 16 restaurants countrywide to take the impressive American Express “Salute to Restaurant Service Award.” It was the one and only Chinese restaurant to win the award in 1990. The Chens train their staff in such a manner it is more than difficult to find a flaw in them. Hopefully, that answers most people’s question to why the staff is so perfect.